More than 900 healthcare organisations, including 558 hospitals, are empanelled under CGHS and efforts are being made to ensure that more people are able to avail their services, the government said on Friday. 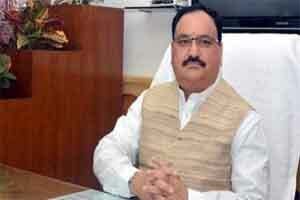 Health and Family Welfare Minister JP Nadda told the Lok Sabha that Central Government Health Scheme (CGHS) Wellness Centres were being opened in the capitals of all states. CGHS is operational in 26 states and there have been regular demands for extending the same to new cities. Efforts were being made to ensure more people avail these services, he said during Question Hour. Giving details, 949 healthcare organisations are empanelled under CGHS as on November 30. Out of them, there are 558 hospitals, 286 eye clinics and 105 dental centres. Besides, 165 diagnostic centres are empanelled under CGHS. “To provide adequate healthcare services to the beneficiaries, CGHS has empanelled a large number of private hospitals for inpatient treatment and diagnostic centres,” Nadda said. “The government has decided to set up at least one CGHS Wellness centre in all state capitals,” he added.